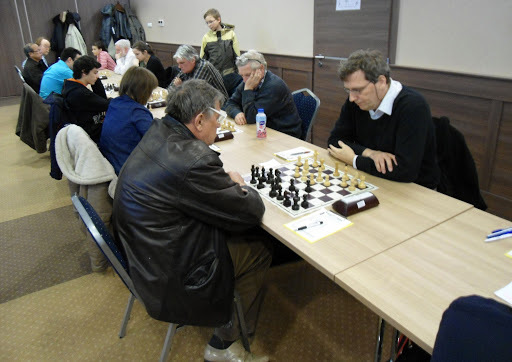 FM Hujbert Florian and Koczo Kristof shared first with 7/9. IM Nagy, Ervin is in clear first with 6.5/8. The number of players this year is an all-time low, and continues a steadily downward trend. IM Nagy,Ervin is in clear first with 6/7. IMs Horvath, David and Nagy, Ervin share the lead with 5/6. IM Horvath David in sole first with 4.5/5. FM Bach(GER), IM Horvath,David(HUN) and FM Kubacsny,Laszlo(HUN) are tied for first with 3.5/4 in a small field of 40 players. The once popular tournament gets fewer players every year. Eight players have 2/2 in a field of 40 players.